Some people have contacted the recycling team asking where WEEE Man has been just lately as they haven’t heard about any of his exploits? Well, when he’s not helping Lewisham Council with their Clean and Green programme in schools, teaching children about the importance of recycling electronic equipment or going off to the Lords Mayor’s Show like he did last year http://goo.gl/Qh7G0v he’s helping other local authorities. 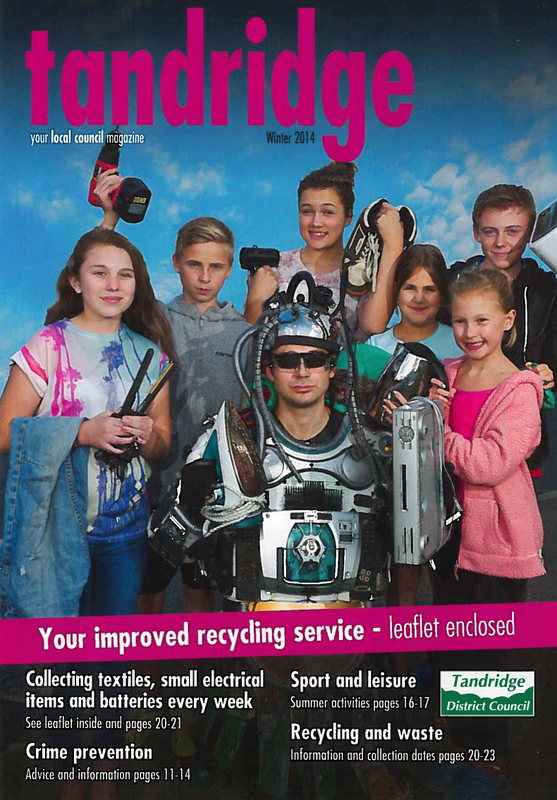 Only this week for example, Tandridge District Council were in need of his services as they were promoting the recycling of electronic waste and textiles. 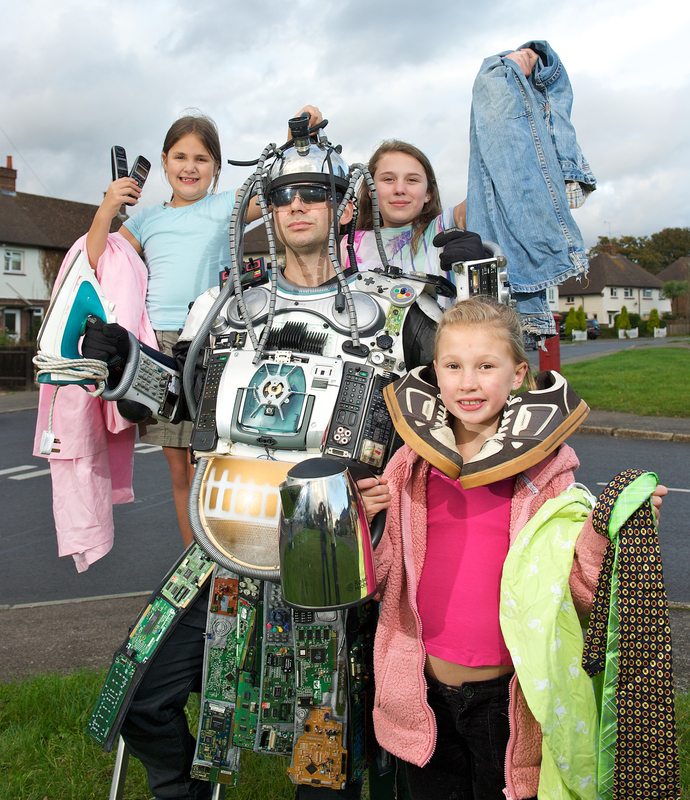 This is more of a mini secondment for our electronic Superhero and we’re more than happy to see the good work he’s doing for Lewisham being spread to borough’s elsewhere to promote the positive recycling message. Christmas isn’t too far away at the moment and is a time when people buy new gadgets, electronic toys, kitchen appliances, radios, TV’s etc. to replace old or faulty items in the house. 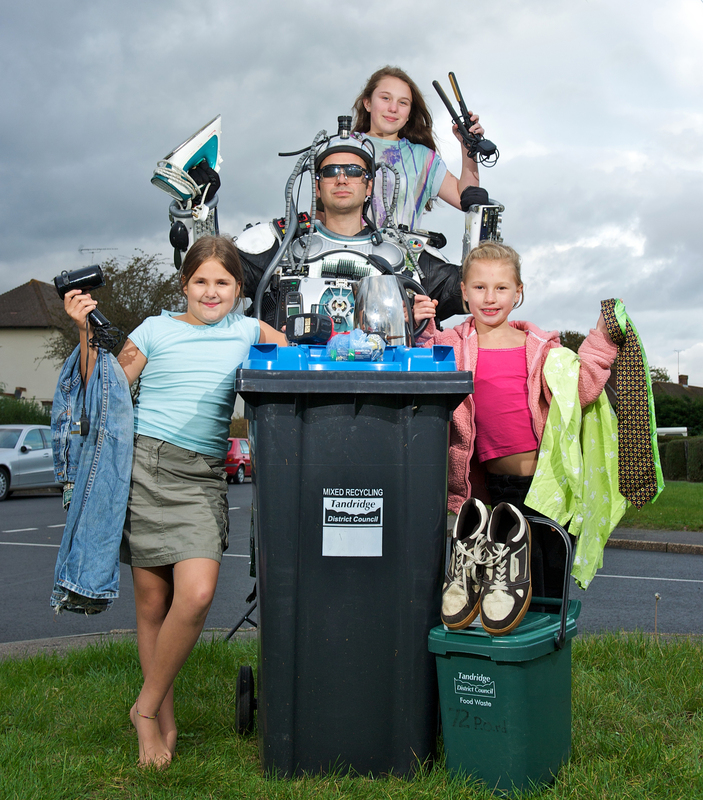 All we ask is that rather than throw away those old items, why not recycle them using one of our small appliance banks http://goo.gl/s51s15 or take them to our Reuse and Recycling Centre http://goo.gl/c3FO6b along with any other items that shouldn’t be placed in the refuse and recycling bins. If the item that you no longer want is still in good working order, why not contact organisations like the British Heart Foundation http://goo.gl/EqB0xf who might take it off your hands and find a new home for it through one of their shops? We’re just pleased to see WEEE Man keeping up the good work and going to wherever his services are required. Categories: community engagement, WEEE, WEEE Man goes forth, WEEE Man secondment | Tags: Tandridge District Council, WEEE, WEEE man, WEEE Man at Christmas, WEEE Man in Tandridge District Council | Permalink. find out specific details when placing your order online.